Questions? 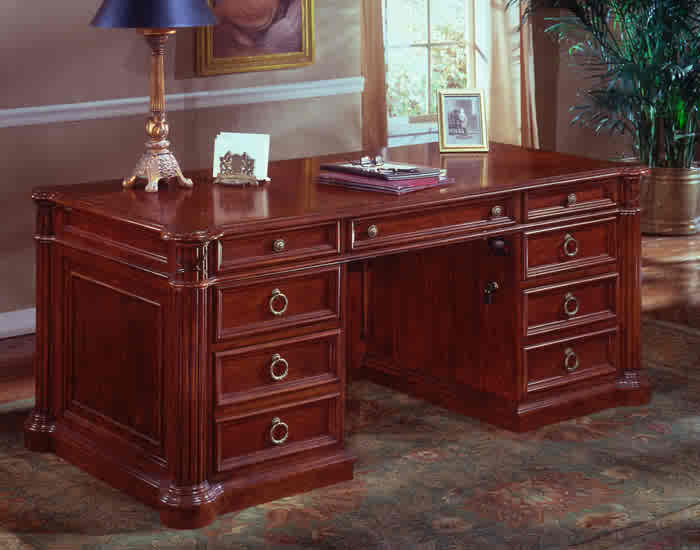 Call 856-368-9085 Finished in a Manor House Cherry, Windemere from DMI Office Furniture showcases conservative yet distinguished details. 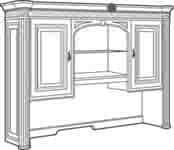 Visual accents include shaped top surfaces with ash burl veneer borders and edge gadroonong, reeded pilasters accentuated with leather straps, rounded corners, and raised panel-in frame details. Functional details like full extension drawer slides, side locking pedestals, floor levelers, and adjustable shelving can be found throughout this series. 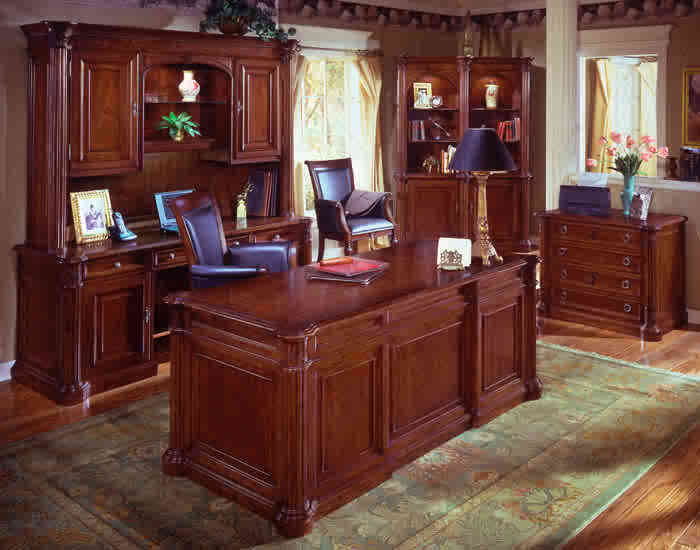 Construction Constructed of wood and cherry wood veneers, featuring solid wood bases with leather strapping on columns. Tops are cherry veneer with ash burl veneer borders. Drawers All drawers are suspended on metal, ball-bearing, full extension slides. File Drawers File drawers are suspended on metal, ball-bearing, full extension slides. File drawers accept letter or legal size hanging folders. Adjustable Levelers All dsks, credenzas and file drawers have adjustable levelers. Take 50% Off the List Prices shown below. Center drawer features a hinged drop-fronts for use as a conventional center drawer or as a keyboard drawer; box/box/file drawer per pedestal; kneehole located lock on each pedestal operates middle box and file drawer; middle box features removable dividers; top box drawer is felt-lined with a wood pencil tray; fully extending file drawers; one touch power bar; pull-out dictation slide in approach side of desk. Left Pedestal: Pull-out writing board; felt-lined utility drawer with wood pencil tray; printer cabinet has two pull-out shelves. Canister lighting; center fixed shelf; center adjustable glass shelf; two cabinets, each with an adjustable shelf; task light. Base: Two cabinets, each with an adjustable shelf. Deck: Four wood framed, adjustable glass shelves; two canister lights.